Albert W. Phillips is the Founder of Voices of Jazz. Growing up, Al listened big band, jazz and dixieland with his dad. He had a dream to create a big band of his own Clearwater, FL. After a lot of hard work, Voices of Jazz a 22 piece Big Band became a reality on January 7, 2007! 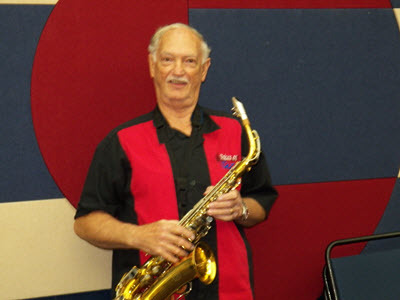 Al and his wife moved to North Carolina several years later and Al began puting together another big band in Charlotte.He is looking forward to continuing what he loves to do and that is to entertain and play big band music! Al Phillips' Voices of Jazz is made up of musicians from Pinellas, Pasco, and, Hillsborough Counties. We are an All Volunteer Community Band. Funds raised by and at our peformances our performaces go into our general treasury. Our main goal each year is to provide moentary VoJ scholarhips to at least two area high school seniors that have matriculated to a school of higher learning. Since 2007, the band has performed for numerous events throughout Pinellas County including concerts at the Dunedin Community Center, Largo Community Center, St. Pete Pier, Seminole Park, Tarpon Springs 1st Friday, 3rd Friday Music Series in Safety Harbor, City of Treasure Island's Sanding Ovation, Safety Harbor's Wine Fest, Royal Palms of Largo, Gulfport Casino Ballroom Dances, benefit concerts for Haiti, Seminole Vo-Tech as well as other Pinellas County Schools and Dinner Dance parties for Lyceum, Isle of Capri, and Broadwater Nieghborhood Civic Associations. 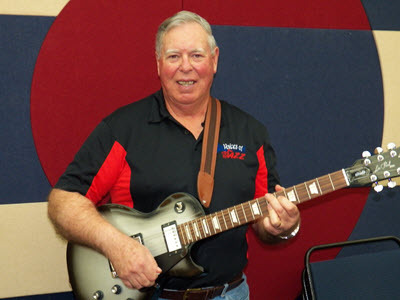 Al's dream was to create a Big Band to provide local musicians a creative outlet to perform for the love of music. Sice our inception, dozens of Bay Area musicians have performed with VOJ rangin in age from 14 years old to 82! 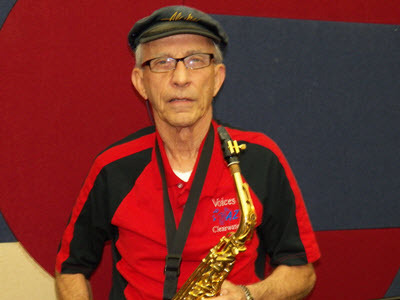 Voices of Jazz specializes in playing music from the big band era. Big Band is a style of music that originated in the 1930's and 1940's. During that very popular era the bands were conducted by such legends as Glenn Miller, Benny Goodman, Duke Ellington, Count Basie and many more greats. Then later came the younger generation of stars like Buddy Rich, Chuck Mangione, Maynard Ferguson, Woody Herman. Big Bands kept the country dancing and in recent years the Big Bands have become popular once again for many social events. Voices of Jazz has gone beyond that concept, incorporating many different styles of music from different era's. We have added more modern songs by popular bands and artists including Lynard Skynard, Barry Manilow, Isaac Hayes, Chicago, Lee Greenwood, Nat King & Natalie Cole to name a few. We hope to win over a new generation of fans who hear us play music that may be more recognizable. Please check out our playlist for our latest updates to our chart collection. If your looking for a professional band to host your next event, The Voices of Jazz will play live and entertain your guests. Whether it is weddings, dances, concerts, private parties or a corporate celebration. The Voices of Jazz will make your event a celebration you will not soon forget! 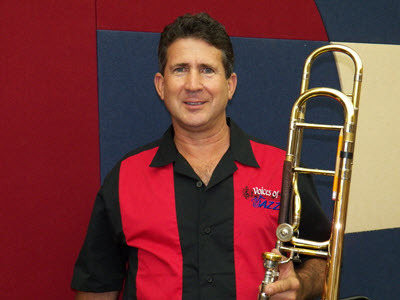 Ron joined Voices of Jazz in 2009. A native of Joliet, IL, Ron moved to Florida in 1984 and lives in Tampa with his wife Terri who is the acountant for the organization. Ron and Terri have 5 children between them, Sarah, Stephen, Bryan, Chris and Jalyn. 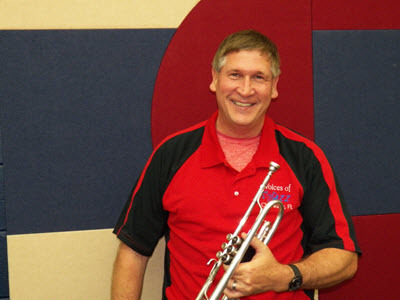 Ron began playing trumpet (cornet) in grade school. By senior year of high school, Ron was in the Joliet American Legion Band that won State and National Championships nearly every time they entered, compiling over 50 National Championships since they were founded in 1947. 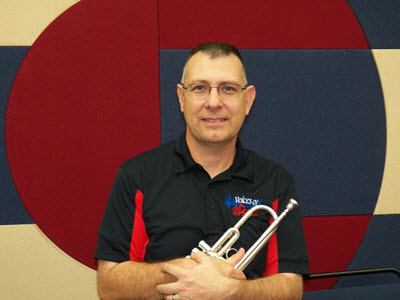 It was by performing with the Joliet Legion Band that Ron was later asked by his principal to take over as band director of the high school band. After moving to Tampa, Ron began to teach and coach at Jesuit HS. But music was missing, so several years later when the band director retired Ron became the band director at Jesuit. Because of the size and makeup of the band Ron decided to focus on jazz charts, transposing trombone parts for the baritone horn players. After one year the band began an annual trip to Loyola University's Jazz Festival in New Orleans. Ron later would join the Voices of Jazz as one of the lead trumpet players along side founder Al Phillips. Al asked Ron to take over as treasurer and later, vice-president. Then, when Al decided he and his wife Jody were going to move to North Carolina, Al asked Ron to take over as President of the Voices of Jazz. Voices of Jazz has been an awesome experience both from the musical performances as well as forming the great friendships with the fellow band members. Ron looks forward to bringing the best of jazz music to the audiences that come to hear us play. 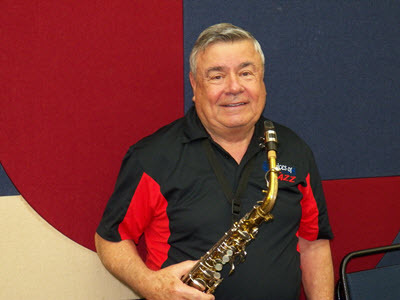 And with the experiences he had with both the Joliet Legion Band National trips and the Loyola University Jazz Festival trips, Ron looks forward to the day when he can "take the band on the road." Charlie joined Voices of Jazz in the summer of 2011. He is a native of Rhode Island who migrated to Florida in March 2011 to enjoy the sunshine and year-round life style. Charlie is married to his wife Christy who is extremely supportive of his musical projects and other interests. He has a son, Charles III (26) and two Step daughters, Jessica (32) and Shaunna (30). Charlie began his musical career in grade school where, after discovering his musical aptitude tested very high, he was encouraged by his parents to begin studying music. He first learned to play the accordion before he was a teenager and as he entered middle school, Charlie took up Clarinet in the school band. 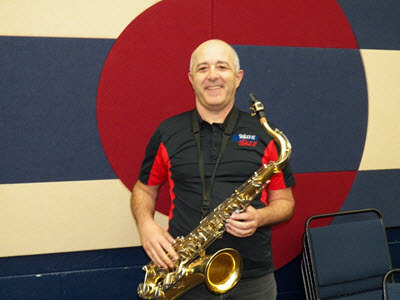 The following year he switched to Alto Saxophone and eventually Tenor Sax, which he played throughout high school. In his senior year of high school, Charlie was elected by his peers as the marching band drum major. He attended the famous Casavant School of Marching in Kutztown, PA where learned to conduct a band and how to construct football half time shows and parade schemes. That year, Charlie led the band of over 130 pieces at all the football games and in many parades. Charlie earned the superlative of “Most Talented” in his senior year. In college, Charlie was a founding member of the Providence College (PC) Jazz Band where he played the Baritone Sax all four years. Most of the members of this group also performed at every school Big East home basketball and hockey game. During his junior year at PC, Charlie helped start up a night club show band. Known then as “NO EXIT”, it was an 8 piece horn band that played many college gigs and enjoyed wide popularity throughout New England as a dynamite night club dance band. 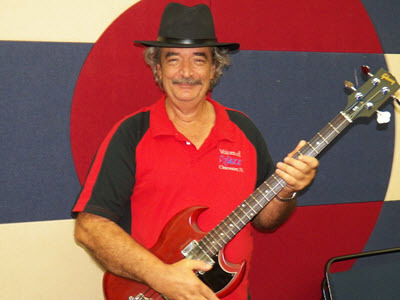 Over the years, Charlie has enjoyed playing and singing in many different wedding and night club bands. Mostly a fan of swing, classic rock, soul, R&B and funk, Charlie has been able to indulge these interests in his various musical projects. Charlie has twin sisters who both made their careers in music as professional opera singers. Mary Phillips, a mezzo-soprano with deep, rich and powerful vocal tones has headlined operas all around the world and is a member of the New York Metropolitan Opera Company (The Met). Lori Phillips, a true soprano, has achieved acclaim in her own right. Possessing a full soprano range with uncommon control throughout, Lori is a true diva, headlining some of the operatic worlds’ most difficult pieces, singing the most intricate soprano parts. 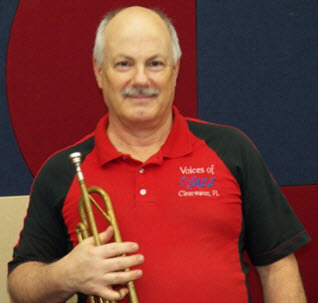 Having found his musical home in Florida with Voices of Jazz, Charlie was elected to the Board of Directors of in December, 2011. Some of Charlie’s other interest include; golfing, traveling, Karaoke, astronomy and gardening. Charlie is also on the Board of Directors of his local community civic association having been elected in December 2011. 2nd Tenor, Board Member/Treasurer - Shem Tov Cohen. 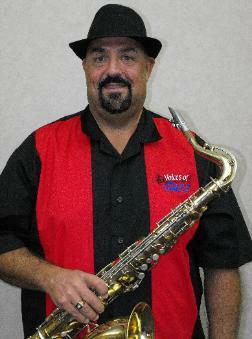 2nd Alto Sax - Gene DiRusso Gene is one of our beloved "Snowbirds" joining us each winter. 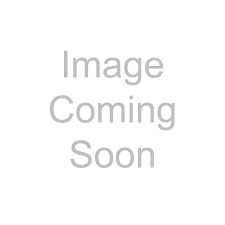 Trombone - John Kipp John is another VoJ Sonowbird whom we welcome each winter! 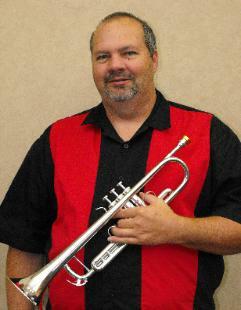 1st Trumpet - Dave Fredricks. Dave frequenty plays with VoJ at our larger performances. Due to the heavy demand for his talents, you may not always see Dave at your shows. Piano/Organ - Dan O'Hara. Dan joined VoJ in the fall of 2017. We are very locky to have him! Dan is also the music director at a local Pinellas County church. Bass Guitar - Adrian Zvyarch. Adrian is one of VoJ's three very talented bass guitarists along with Mike DiPinto and Jay Meder. Adrian joined VoJ in the fall of 2017. He adds a funk bass element to our sound that the crowds love. Taylor Morris - Vocalist Ms. Morris is a young and talented vocalist who's first love is sound engineering. When she's not performing, she has been and contines to be the VoJ sound engineer at our live performances. Nobody runs the board quite like Taylor.